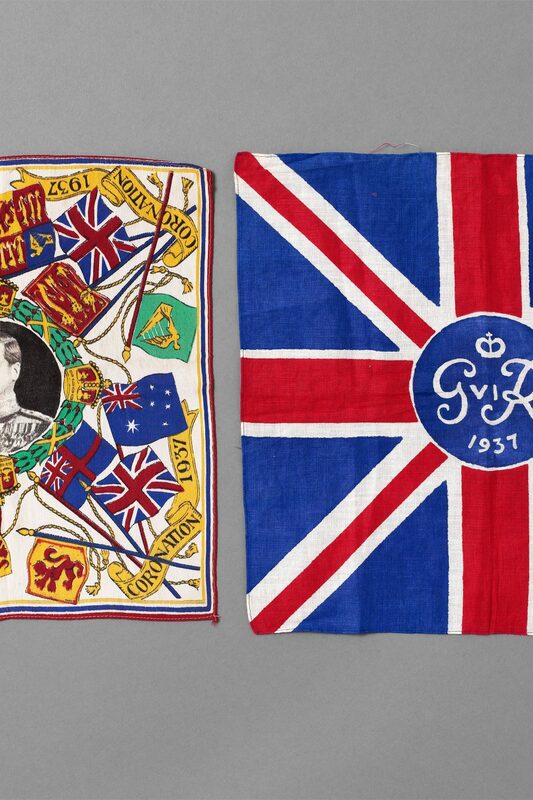 Handkerchief commemorating the coronation of King Edward VIII. Handkerchief commemorating the coronation of King George VI. Edward, Prince of Wales, succeeded his father King George V on his death in January 1936. His coronation was planned for May the following year, and the manufacture of souvenirs to mark the occasion went into production. In December 1936 Edward abdicated the throne in order to marry the divorced Wallis Simpson. He was succeeded by his younger brother as George VI, and the coronation went ahead as planned with the substitution of its main participant. The survival of many Edward VIII souvenirs, such as mugs, badges, flags and ashtrays, suggests that their production and sale were well underway during 1936. 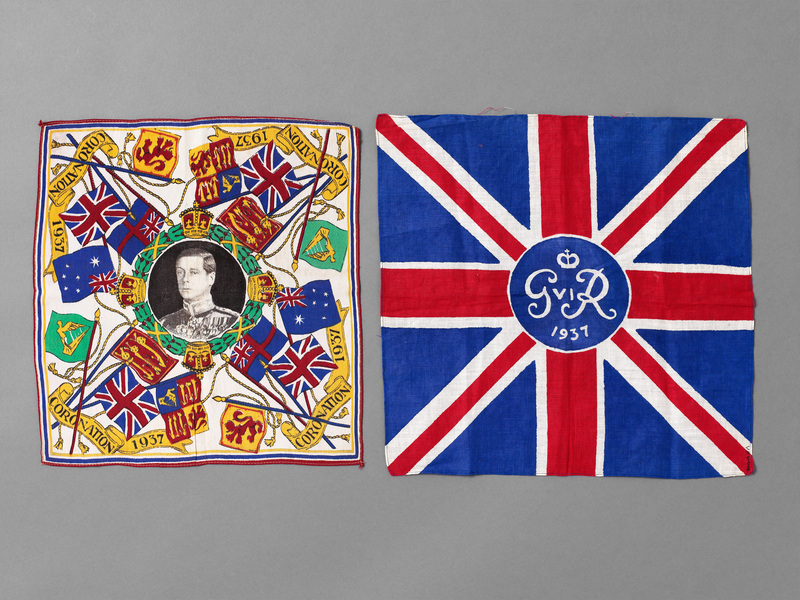 After the abdication manufacturers had only four months in which to produce items to commemorate George VI’s coronation, which is perhaps reflected in the relative simplicity of the later handkerchief.